A note to my ears: Cristian Amigo is your friend. This New York-based composer / guitarist cooks up various and sundry sounds into a tasty sonic stew, then hands you the ladle. Kingdom of Jones’ ingredients range unpredictably and wildly from course to course: Big beat, deep-bassed, head-nodding grooves dolloped with melodic keyboards. Sparse piano plonks. Acoustic guitar skitter. Spare and stately chimes. Intricate, melodic acoustic guitar pickin’, grinnin’ and a-stummin.’ Soda can tapping. Layers of acoustic guitar tapping and scraping. Scratching feedback. Pinging synths. Solo, soulful, dissonant, electric fuzz guitar. Bongos with field recordings. Spinning bike spokes with sparse keyboard tinkle. Stick tapping with bird chirps and loose string flutter. Singing bowls, and last but not least, a little bit of sweet human singing sprinkled in a couple o’ spots in near the end. And the whole shebang is slathered in gallons of reverb, which gives it such a nice, atmospheric vibe. This album is one popular / avant-garde crossover that provides non-stop listening pleasure. I highly recommend it. Mark Applebaum (born 1967) is a composer of solo, chamber, choral, orchestral, operatic and electro-acoustic music, and a jazz pianist who also builds sound sculptures. He earned a Ph.D. in composition from the University of California, San Diego and is now the Associate Professor of Composition and Theory at Stanford University. Asylum is a collection of nine tracks that translate mental illness into music. Clocking in at 22 minutes, the opener, “The Blue Cloak,” is a composed sprawler that sounds for all the world like a lengthy acoustic free improv workout, what with its never-ending layers of outbursts from clarinet, electronics, flute, mouseketier (one of Mark’s electro-acoustic sound sculptures), percussion, piano and violin. 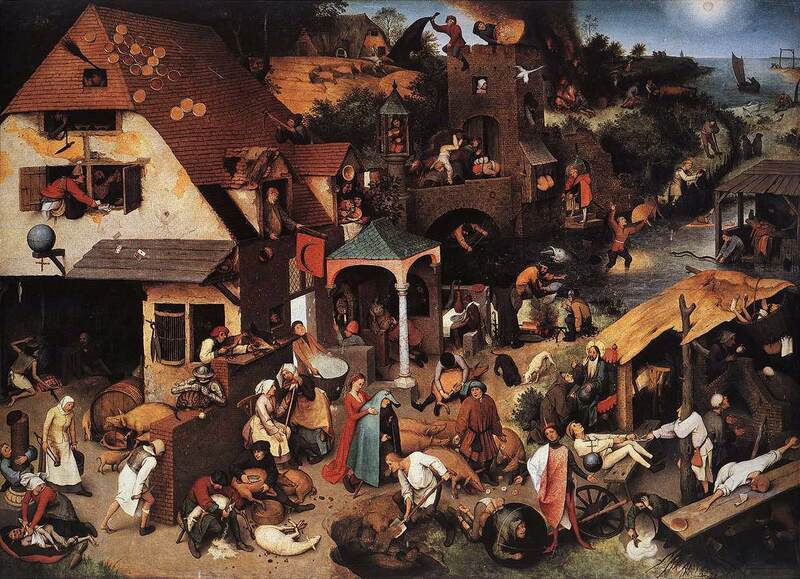 But, rest assured that it’s completely notated, as it offers up a detailed sonic tour of a wimmelbild painting (in which masses of small figures create one large scene) called the Netherlandish Proverbs (1559). Virgil Moorefield is a composer, intermedia artist, author and avant-garde / rock drummer who studied at Princeton, Columbia and Juillard, and is currently an Associate Professor of Music at the University of Michigan, Ann Arbor. He has been working since the early 1980s, and in addition to composing his own pieces, he has played with the likes of Glenn Branca, Damage, Bill Laswell, Elliott Sharp, Swans and many others. Things You Must Do to Get to Heaven is one long avant-garde classical piece comprised of the first four tracks on this CD. In part one, “Five on Six,” a lively exchange between bass clarinet, cello, drums, percussion, vibraphone and violin challenges a dissonant two-note blast from a Harry Partch-like microtonal electric guitar to a duel. Ultimately, the guitar gets the last word in edgewise. “Crosstalk” dredges up a conversation between a piano, cello and violin that gets all stark and woozy—only to be interrupted by a series of ecstatically held tones. You are currently browsing the Arcane Candy weblog archives for December, 2009.